Reading and Lancaster, Pa. – Barley Snyder is proud to announce it has hired EmmaRose Boyle as its newest attorney. Boyle will work primarily out of the firm’s Reading office in its Business, Personal Planning and Food & Agribusiness groups. 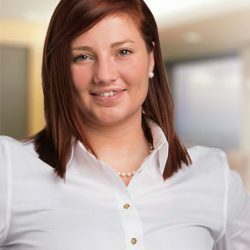 She is a former extern who worked with Barley Snyder during the spring 2017 semester while working on her degree from Vermont Law School, where she graduated in two years through the school’s Accelerated Juris Doctor program. Her agriculture background has made her a logical fit for Barley Snyder’s Food & Agribusiness Industry Group, which the firm launched in 2016. Before law school, she graduated college with a degree in Animal Science, Livestock Science and Management Specialization from one of Pennsylvania’s highest-rated agriculture schools. She also has volunteered for 4-H groups in the region. She lives in Andreas, Schuylkill County.